Do Engineering Diaries : The "test" of my life..!! Do Engineering Diaries : Being moulded to be a true "Engineer"
Navathej_Gobi on: Do Engineering Diaries : The "test" of my life..!! 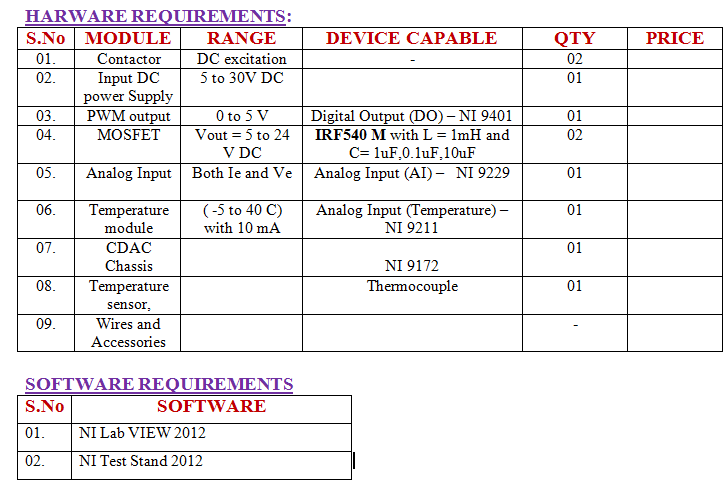 Its Happy to share my project concepts as an Intern at National Instruments - Bangalore. I am currently pursuing my final year in Electronics and Communication Engineering at Sri Shakthi Institute of Engg and Technology - Coimbatore. As I had mentioned in my first Blog, the project assigned to me was Creating a TEST BENCH for Automatic Testing of Contactors using NI TEST STAND. During the course of an engineers career, each one has to involve themselves in research, experimentation and testing of new products. In Each and every stage of Product or Process development , Testing has to be done. In all kinds of manufacturing Industries, Quality has to be given the top priority . At present for testing the products, industries spend lot of money, time and many other resources to implement a standard testing setup. In order to overcome all this issues, National Instruments had developed a Standard Test management software known as NI TEST STAND. Test Stand is a special Test management Software of National Instruments which is an Industry Standard for Automated Test.Using this we can manage the below tests. 4. Increase the Accuracy and throughput. The E Electrical Contactors has to be tested automatically and the reports or a result regarding the following tests has to be recorded. 2. Coil Current and Voltage measurement Test. The Chopper circuit is used to vary the input voltage(from min to max) that has to be fed to the coil of the contactors. 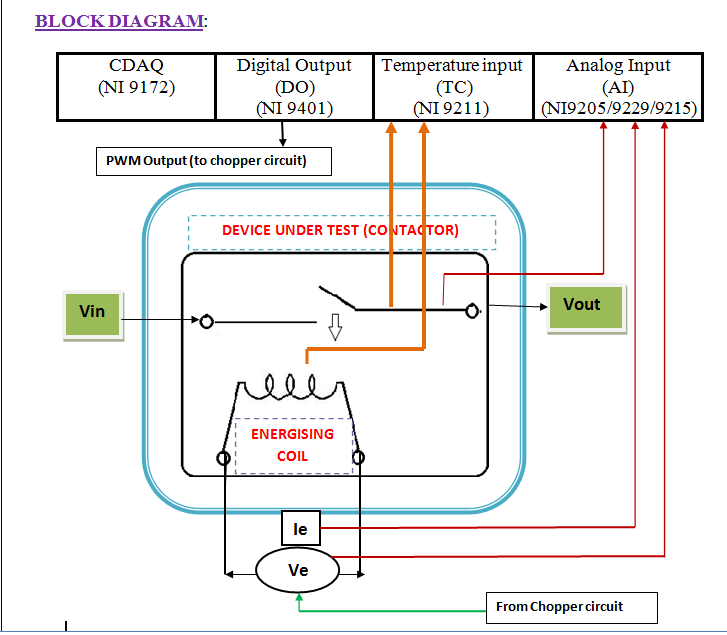 This is done to detect the min Voltage and current at which the contactor goes to MAKE (ON ) Condition.Depending uopn the Specifications, project plan was made. The Mentor assigned to me was Mr. Avichal - Application Engineer at National Instruments . He was very helpful to me in finding out the solutions and was guiding me to finish my project in a best way. Hope I didnt bore u in this blog and thanks for reading this blog. I wish to share my VI's in my next blog. I hope Mr. Avichal is a nice person to work with.... when we had an disscussion on query on phone he made the each and every step with clarity and understanding.